Getting someone to brush their teeth seems like one of those things that you shouldn’t have to do, but the unfortunate reality is that dental hygiene is not high on the priority list for many people. Years of bad habits formed as a child carry over into adult life and can affect relationships with friends and family, and especially with significant others, including spouses and fiancees. But, it’s not too late to help someone change those unhealthy habits. Here are some strategies that may help change the conversation around oral health in your house. From sleep trackers to fitness watches, people love tracking their performance. Why should teeth be any different? Take some pictures of the person’s teeth and show them what they look like to the outside world. We often do not see ourselves in the way that others see us, and the new perspective may be eye opening enough to change their mind. You’ll also have a starting point to track progress over time. Commit to taking new photos every month or even every week to help them see how things are progressing as their dental habits improve. No one should want to be part of these statistics. With a few simple behavior changes, your significant other does not have to be. No one likes to tell someone else that they have bad breath or unsightly teeth, especially when it’s someone you love. However, sometimes honesty really is the best medicine. Tiptoeing around the issue is not going to incite long-term change. Note that being honest is not the same as being mean. You can communicate your thoughts and feelings in a calm and rational way. If he or she starts to get defensive or angry, remind them that you are just trying to help and change their life (and yours) for the better. If you do not feel comfortable having a conversation like this in person, write down your thoughts and then make time to for a discussion about them. Being open with your feelings may also get to the root of why he or she does not take care of his teeth. And, remember that these changes take time. You will likely need to have some version of the conversation multiple times as you work through the behavior change. 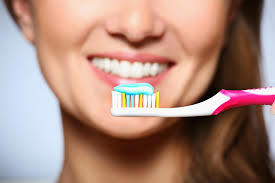 Continue to provide positive reinforcement when they do brush their teeth and gently remind them when they do not. If they won’t listen to you, no matter how eloquent your thoughts or how much information you provide, it might be time to consult a dentist. A dentist can offer an objective and professional opinion that may resonate better than what you or other friends and family members say. Make an appointment and go with them to visit the dentist. If you suspect that there might be depression or other mental issues at the heart of the dental behavior, you should also consult a therapist to help them work through them. Few things in life happen “just because” — not brushing may be the result of a traumatic childhood experience or other event that’s been suppressed over the years. Getting it into the open will lead to long-term behavior change. These issues are never easy to tackle, but a little effort and perseverance now will reap lifelong benefits for you and your family.